Ah we have had a crazy week of cramming in everything before I leave today for Massachusetts to shoot a quick wedding for Vogue.com ! We are trying to get all of our wedding work completed before we leave for France, a week from Monday. Needless to say, we have been racing around and hardly making time for family this week. We decided to have a quick impromptu dinner outside (out of the editing “cave” and into the light!) en famille before I head out. Today it hit 90 degrees — quite a reminder that summer is nearly here/has arrived?? I’m definitely having that “what should I wear in this heat” moment and so have lined up all of my linen and cotton for this warmer weather. 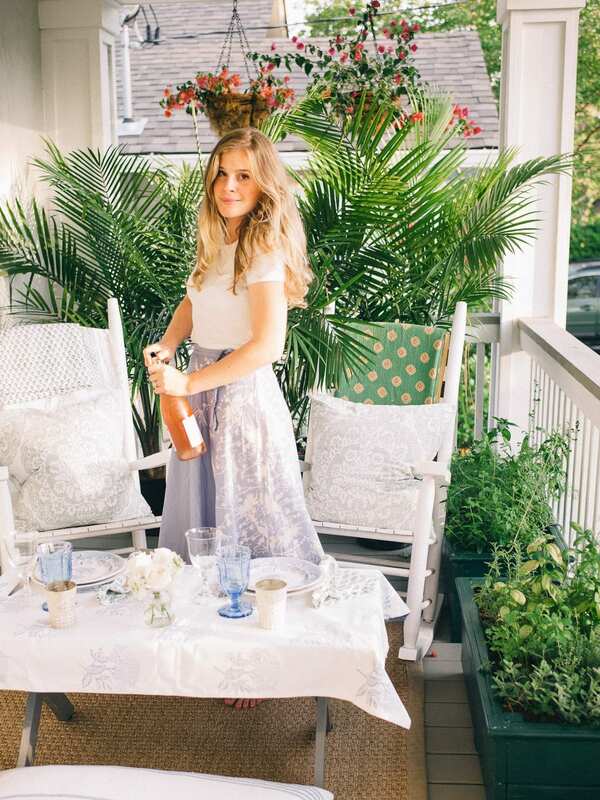 Nothing beats a solid white tee shirt with a long skirt — timeless, classic, feminine. This outfit reminds me of my mother in my childhood, which is a good thing! Also fun to set out some of my favorite plates and new napkins for our dinner for two! 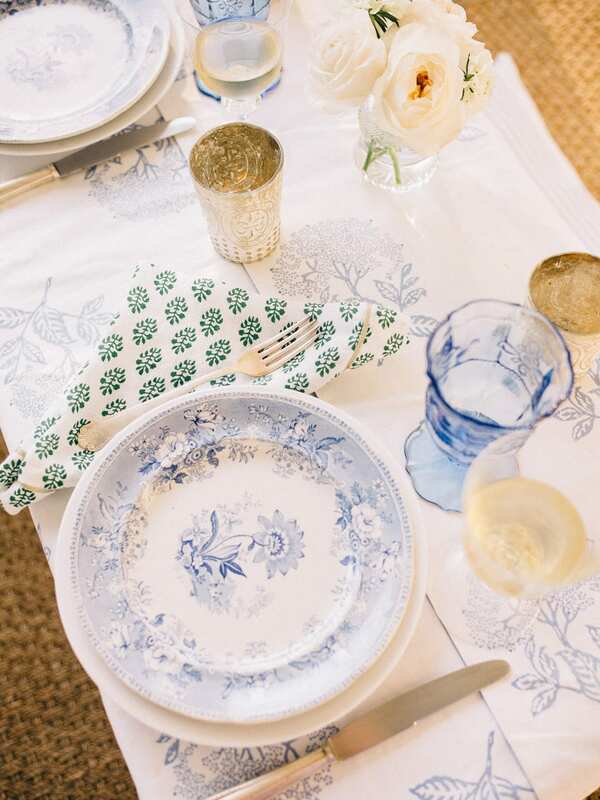 This tablecloth reminds me so much of France and made me feel even more excited, as if it were possible! It’s official. You have THE COOLEST job ever. I cannot wait to see your work for Vogue! Also just DMed you about the Berkshires!!! If you have time, go to the Rockwell museum, which is amazing and then take the time to go to Edith Wharton’s house.